10 April 2019, BLOC Hotels is delighted to announce the appointment of Dominic Mayes as its new Property Director. 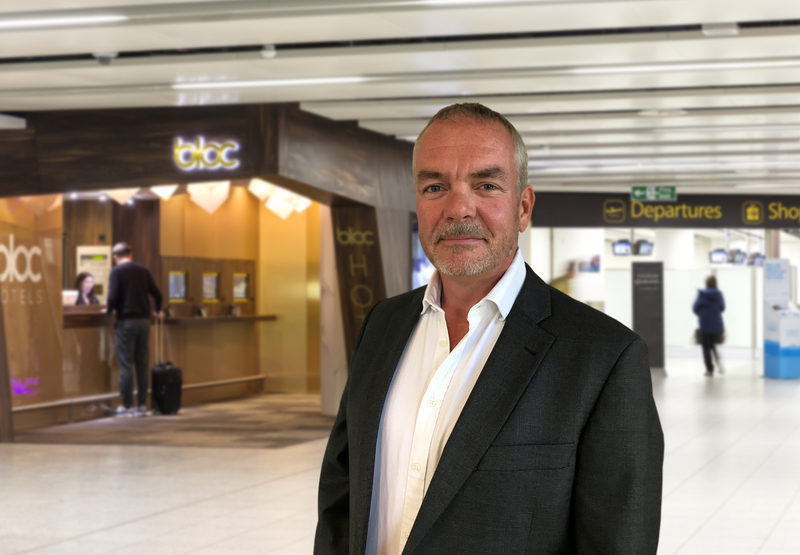 He brings to BLOC more than 18 years of experience in the acquisition of hotels, both within the UK and key gateway locations across Europe. Dominic will spearhead the multi-million-pound expansion of BLOC Hotels – the award-winning designer brand that specialises in affordable luxury. The exciting growth plans follow significant investment in 2018 by Crescendo Real Estate Partners. Construction of a new flagship BLOC Hotel is already underway at Grand Central in Birmingham and more properties are in the pipeline. Dominic says: “I’m really excited by the challenge of sourcing and securing new sites for BLOC Hotels. BLOC is a brand that is ready for significant growth. I want to build on the success it has already enjoyed. Formerly Dominic was Property Director for Qbic Hotels and before that Head of Hotels and Proprietary Partner at Knight Frank. BLOC’s critically-acclaimed designer hotels in Gatwick Airport and Birmingham’s Jewellery Quarter have already proved a hit with business and leisure travellers. BLOC also launched its innovative Apartment BLOC suites in Birmingham in 2017. The innovative apart-rooms combine the convenience of a hotel with the creature comforts of your own home and are ideal for guests booking longer stays. Work has already begun on the landmark 22-storey BLOC Grand Central hotel in the heart of Birmingham. Its high-tech design and fit-out will help realise the City Council’s vision of making the district around New Street Station a vibrant and attractive destination for visitors. The area is at the centre of the Big City Plan – a 20-year project to create thousands of jobs and bring £2billion-a-year into Birmingham’s economy. BLOC’s designers, with innovation partners Samsung, have developed a high-tech, smart hotel that matches the aspirations of the area. BLOC Hotels use innovative design and construction techniques to create compact, chic and perfectly-formed rooms. Our guests appreciate quality and luxury without the fuss, or unnecessary extras, of a traditional hotel. Design principles based on pared-down luxury mean BLOC can keep prices low. We don’t compromise on style or a really good night’s sleep. BLOC gives you the best of what you do need and none of what you don’t. This press release was distributed by ResponseSource Press Release Wire on behalf of Bloc Hotels in the following categories: Travel, Construction & Property, for more information visit https://pressreleasewire.responsesource.com/about.